The Garden in the Park day was a great success with many local residents helping out, representing ages 6-66. 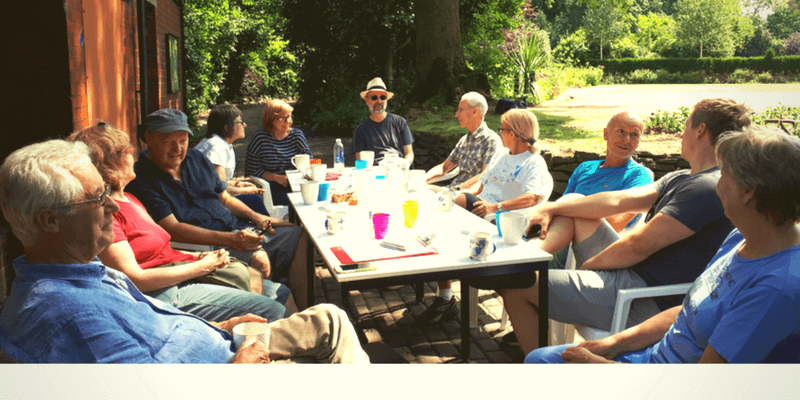 The picture shows the group enjoying the shade on the lovely warm summer’s day with a bit coffee and cake (apple, so very healthy) outside the Park Pavilion. 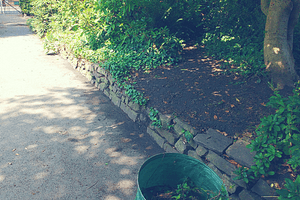 As you may be aware, Stockport Council, as of 2014, provides NO gardening services to its parks. 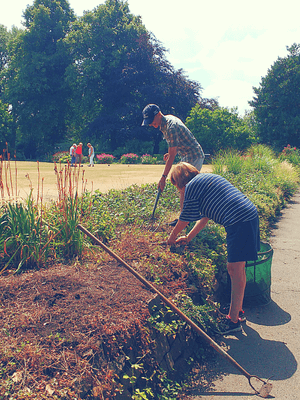 Although the Friends of Heaton Moor Park fund-raise to support 2 half-days of work each month by an independent gardener, maintaining a park of the size and variety of Heaton Moor Park requires considerable effort. So the next time you stroll through the park, do take a moment to appreciate the efforts of your fellow Heatonians. The next work day is Saturday, 11 August, 2018., 11 am-3 pm, with refreshments around 12:30-1pm. Tools provided, although you may want to bring your own hand tools and gloves. All welcome! For more information, please contact us.